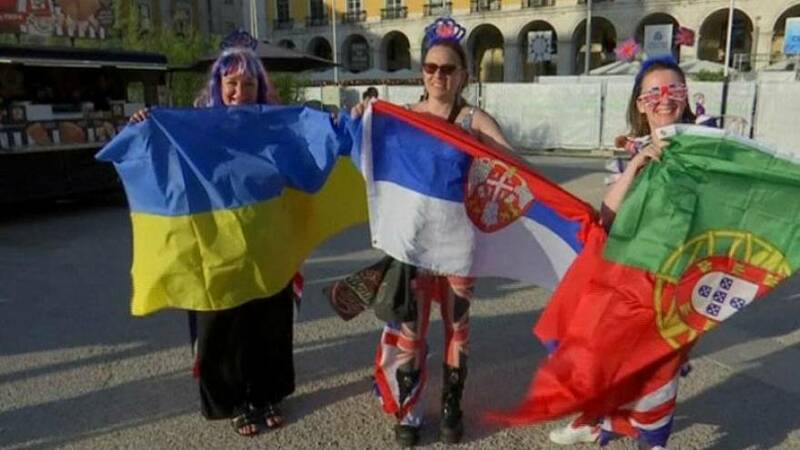 Eurovision fans are gathering in Portugal ahead of the annual song contest. With the semi finals out of the way, 43 countries will take part in Saturday's event at the Altice Arena in Lisbon. This year marks the first time Azerbaijan, Romania and Russia have failed to qualify for the grand final since 2004. Andreas, a German Eurovision fan says: "There are so many people that come together, they are friendly, they love to have a party. Yes, this is the way we have to live." Anna, a British Eurovision fan, says: "I love Eurovision, I love Europe, I love everybody from Europe, I love trashy euro-pop, I love glitter, I love sparkles, and this is the only place you can come where everything is glittery and everything is beautiful and everyone loves each other." For the first time since 2011, no country is withdrawing from the contest, and this year a joint record number of participants will be performing.